It’s that time of year again. Old Man Winter is nipping at your nose, chilling down your toes and, perhaps most distressing of all, driving up your utility expenses with the increased use of your heating system. But wait: instead of automatically reaching for the thermostat dial, consider alternatives to heating the entire house at night. After all, the only room in use is the bedroom, so stay snug, lower your utility costs, and reduce your energy consumption with some simple—and cheap—solutions. If your bedroom windows (or any other windows in your home, for that matter) have gaps or leaks, your warm inside air is leaking away to the outside, leaving you chilly and wasting your hard-earned money. Each season, check all windows and doors that open to the outside. You can use a draft detector, or simply a burning stick of incense to check for unwanted air movement. Fix those gaps, and your room will stay warmer. It's not difficult to caulk or weatherstrip for leaks around windows and doors, and the benefits are twofold: you'll cut down on energy waste, and you'll prevent bugs from sneaking inside. It’s the obvious solution: When nature turns the thermostat down, it’s time to turn up the heat on your bed. Just as with clothing, layers of bedding keep you warmer, so swap out those percale or sateen sheets for flannel, and top them with a warm blanket and a down-filled (or down-substitute) comforter or duvet. You can also go extra-warm with an electric blanket, but keep your plugged-in bedding on top, not layered underneath a comforter or duvet (and remember that electric blankets are only for the master bedroom, not for a child’s room or nursery). If you get very cold, consider an electric mattress pad, which warms up your whole bed from underneath the sheets. Ceiling fans are a great way to reduce energy usage any time of year. In the summer, the counterclockwise rotation creates a cooling breeze that’s a treat on muggy, hot nights. But once the winter months roll around, it’s time to reverse your fan’s rotation to clockwise (most ceiling fans have a switch on the fan’s base that sets the rotational direction). Now the fan’s blades will pull warmer air from the ceiling, and push it lower into the room—right where you need it. Take advantage of your seasonal fan adjustment to wipe down the blades, as well; they are a prime spot for dust buildup. Just slip a pillowcase over each blade, and then slide the fabric to the end of the blade. The collected dust remains inside the pillowcase instead of drifting down over your bedroom. While sleep experts agree that 65 degrees Fahrenheit is the ideal temperature for sound sleep, if your bedroom dips much below that, you can warm things up a bit without turning on the central heat by using a space heater. When choosing a portable heater, look for one that is suitably sized for your room, and place it far enough from the bed so that there is no chance of bedding coming in contact with the device. You’ll also want to play it safe with the cord—don’t stretch it across your escape route in case of emergency (or nighttime bathroom visits), and make sure the heater has a safety feature that turns it off automatically if it tips over or overheats. As with electric blankets, portable heaters are okay in the master bedroom, but they should not be used in a child’s room. If your significant other likes it on the cool side, but you’re shivering at night, warm yourself up by slipping on thick socks before climbing between the sheets (as a bonus, you’ll sleep better when your feet are warm) and add a knit cap to keep your head cozy. After all, there’s a reason those old-time illustrations show people sleeping in long, pointed caps—although today’s sleeping hats are likelier to be beanies. Either way, you’ll feel warmer and sleep tighter. This isn’t a solution for every bedroom, but if your bed is normally positioned right under a window, you can sleep a little warmer by moving it to the other side of the room. Unless your windows are multi-paned (and even if they are, in very cold areas), the glass will cool down considerably during the night, thus cooling down the inside air near that window. As a result, you feel cooler, as well. While hard flooring, such as wood or laminate, has many benefits, warmth is not one of them. Do yourself a favor and lay down a thick, warm area rug during the cold months to help insulate your room and give your feet a warm treat when it’s time to crawl out of your snug bed. A faux sheepskin not only adds a hefty dose of style, but it's also the ultimate in warm coziness on your feet. Since outside temperatures transfer through the glass, you can insulate your bedroom a bit by switching to insulated or heavier window coverings during the wintertime. 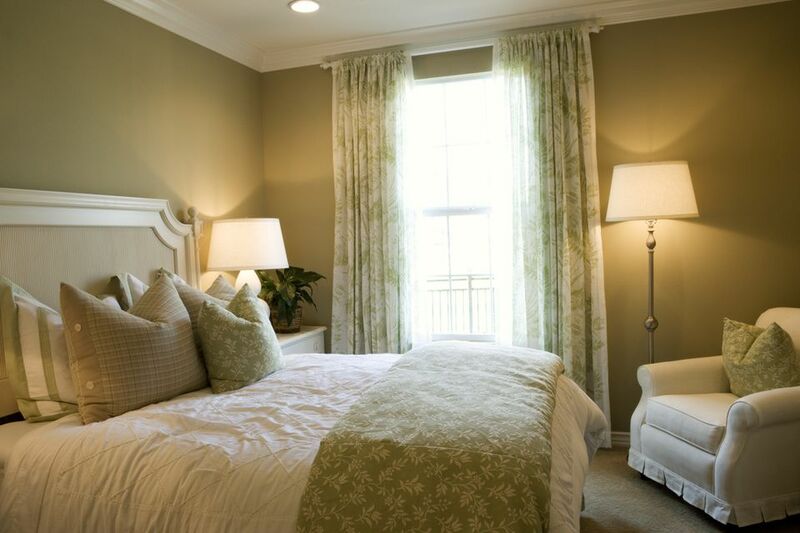 So cover up your blinds or switch out those lightweight sheers with heavy, lined drapes. Choose a cheery color to chase away some of the winter gloom while you’re at it. If your windows let in a lot of heat in the summer, insulated blinds can help with that, too. It might be old-school, but it works: Slip a hot-water bottle under the sheets when it’s time for bed, and let your tootsies revel in the warmth. You can also take the same idea and go very new-school, with a bed heater (such as a BedJet). These blow warm air right under your sheets and can heat up the entire bed in minutes. They aren't cheap to buy, but they save money and energy compared to turning up your home's thermostat.